Hosted: Iron Sight Defense Academy, Rockcastle Co. KY. Combat Rifle Skills: Thursday 28 – Friday 29 September. $450 standalone class. 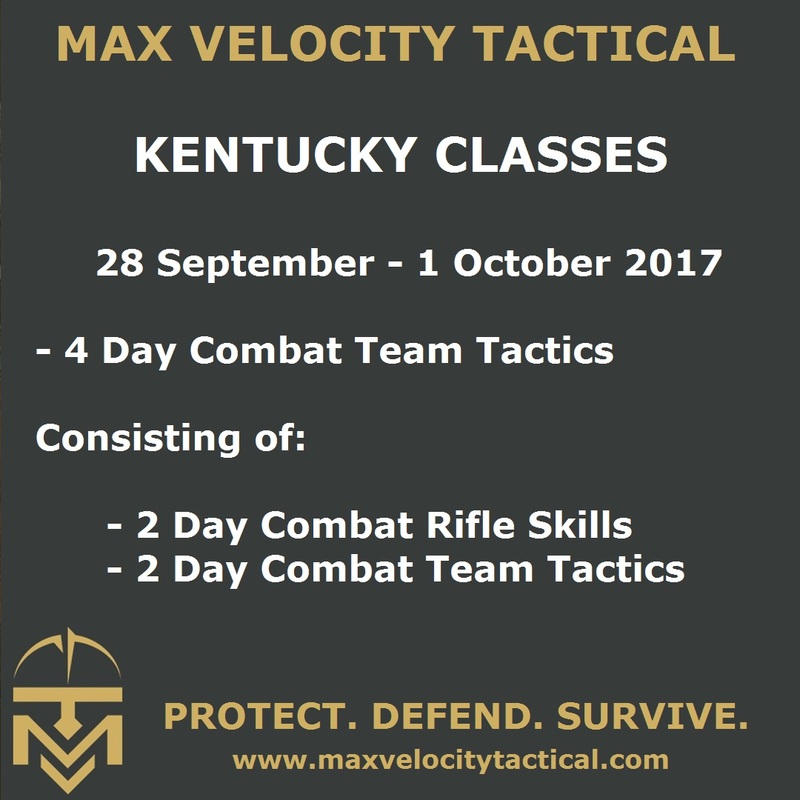 This combines the Rifle Skills class and the first day of the standard 3 day Combat Team Tactics Class into a 2 day progression. This class is required for progression to the Combat Team Tactics 2 day, with the exception of MVT Alumni. Combat Rifle Skills: Saturday 30 September – Sunday 1 October. $500 Standalone Class. Thus is the 2 day tactical phase of the standard Combat Team Tactics Class. This is a live fire class. The preceding 2 day Combat Rifle Skills Class is a prerequisite, unless you are an MVT Alumni. Range Fee: $50 range fee per person per attendance (i.e. pay once only, however many classes you do) payable to Iron Sight Defense. Deposit: $200 books your place on the class. Discounts: There are no alumni discounts for mobile classes. However, if booking multiple people / multiple classes, raise this with me when you send your availability request email; discount for group / multiple class bookings will be available on a case by case basis.